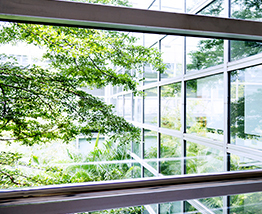 The ICC-ES Environmental Programs (formerly known as SAVE®) provide manufacturers with independent and comprehensive evaluation and/or certification that their products meet specific sustainability targets. We offer the following services under the ICC-ES VAR Environmental Report and Environmental Product Declaration (EPD) Programs. 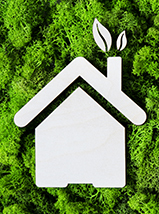 National Association of Home Builder's National Green Building Standard (ICC 700). Environmental Product Declarations (EPDs) are designed to meet the global market demand for science-based, transparent, quality assured information about product environmental performance. 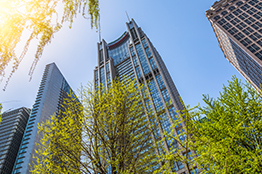 Based on Life Cycle Assessment (LCA), EPDs are rapidly becoming a key component of the material selection process, particularly in the building sector. ICC Evaluation Service helps to meet industry demand by serving as a Program Operator with published Program Instructions detailing our approach. An EPD is a comprehensive disclosure of a product’s environmental impacts based on a Life Cycle Assessment (LCA). More specifically, an EPD is a voluntary ISO Type III environmental declaration based on the ISO 14025 standard. These third-party verified, comprehensive documents communicate the results of a product’s LCA, along with additional relevant environmental performance information at one of two levels, business-to-business (B-to-B) or business-to-consumer (B-to-C). An EPD provides an opportunity for manufacturers to have increased transparency regarding the environmental impacts of their products using established international standards. Often likened to a nutrition label, an EPD provides a summary of the environmental impacts and related information in a form that is accessible and consistent. Consumers, building design teams, specifiers and other users can then make appropriate, informed product selections. LCA reports detail the environmental impacts of a product across its life stages – material extraction, production, transportation, installation, use and end of life. LCA reports can be lengthy and difficult to navigate, which is why this information is typically summarized in a shorter-length EPD. The EPD is a compact summary of an LCA report with additional information about the product useful for comparisons with similar products. What Types of Environmental Impacts are there? The EPD also discloses uses of resources and renewable energy, as well as whether or not waste is declared as a hazardous material. EPDs within the same product group use the same impact measure units for comparison purposes (e.g., greenhouse gases use kg CO2). Product EPDs are comparable that use the same units required in the Product Category Rules (PCR), much the same as the Nutrition Facts Label on food would use a similar serving size for competing products. Manufacturers may declare additional environmental information other than that which was used to derive the LCA. International ISO Type III declarations require an independent agency, called the Program Operator, to oversee the full EPD development process in accordance with ISO 14025 guidelines. A Program Operator is required to have published General Program Instructions that cover the basic process and procedures for the development of Product Category Rules (PCRs) and EPDs within its program. The Program Operator ensures that the key steps in creating an EPD are followed in accordance with ISO standards. The following diagram outlines the flow of information. Product Category Rules (PCRs) define the product category and provide a detailed set of procedures for the LCA. The Program Operator is responsible for developing the PCR using a defined process that includes, but is not necessarily limited to, consultation with identified stakeholders with expertise in LCA as well as those knowledgeable about the product and its manufacture. Under international standards, an existing PCR should be adopted as is or adapted to reflect product or jurisdiction specifics. If an existing PCR isn’t available, the Program Operator works with the manufacturer to create a new PCR that must then be verified by a panel comprised of a chair and at least two panel members. An adapted or new PCR must also undergo an open consultation process (which doesn’t necessarily mean a formal public consultation) where interested parties have an opportunity to comment and the Program Operator has a requirement to respond to all comments. The PCR is registered under the Program Operator that supervised the development and/or revision of the PCR and subsequently conducted a panel review in accordance with the ISO standards. ICC-ES has a listing of PCRs from which EPDs were derived. Contact ICC-ES Environmental Programs for a quote to develop a PCR or modify an existing PCR or to investigate the internationally available PCRs or EPDs within a product group. Once the PCR has been finalized, an LCA must be completed or modified as necessary to comply with the PCR. As defined in the ISO standards, an LCA is “compilation and evaluation of the inputs, outputs and the potential environmental impacts of a product system throughout its life cycle.” While it is only mandatory to verify LCAs for use in B-to-C EPDs, a PCR may require a peer-reviewed LCA for a B-to-B EPD. ICC-ES does not currently offer services related to conducting an LCA for products. The EPD may be created by the manufacturer or the manufacturer’s representative, or by a third party. The EPD document encapsulates the essence of the LCA, providing the user with all of the basic information and results necessary for a fully transparent declaration of environmental effects. Upon completion, the manufacturer owns the EPD for their product and they receive the right to use the ICC-ES logo within the EPD. 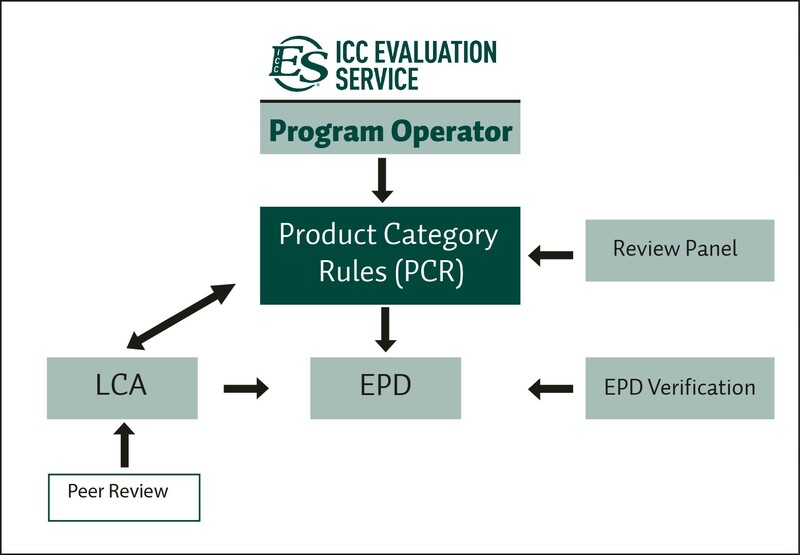 ICC-ES, as the Program Operator, is responsible for confirming that the EPD complies with the applicable international standards and the PCR. EPD verification may be conducted by an internal reviewer for B-to-B declarations and by a third-party verifier for B-to-C declarations. The Program Operator appoints the verifier and establishes a transparent verification procedure, usually in consultation with the verifier. 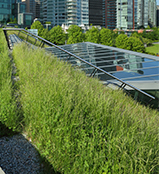 The manufacturer also has the option to include within the EPD an independent evaluation of their product to other normative reference documents such as the model building codes and/or green building rating systems within the EPD. For example, manufacturers can directly link their ICC-ES ESR, VAR or PMG reports within the EPD. Once verified, the EPD can be officially registered and entered into a public repository. ICC-ES automatically registers EPDs in the Directory of ICC-ES EPDs. Contact ICC-ES Environmental Programs for a quote to develop an EPD for your product.